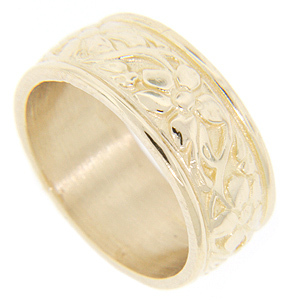 Five-petaled floral designs span the circumference of this 14K yellow gold antique style wedding band. Available as well in white gold (WB1701-04). The wedding ring measures 7.6mm in width. Size: 5 1/4. Cannot be resized.